Dear Recruiter, please be a professional! Congrats! You’ve got the job! You are the great recruiter of a big company or a famous agency! Happy, happy, joy, joy! Now, let’s get back down to Earth and think about the next step: how to keep your professional brand… professional. Why? Because you don’t want to mess up your chances to convince candidates that you offer them THE opportunity they are searching for. How can you do that? Pretty simple! Let’s talk about a few common sense do’s and don’ts that any recruiter should know. 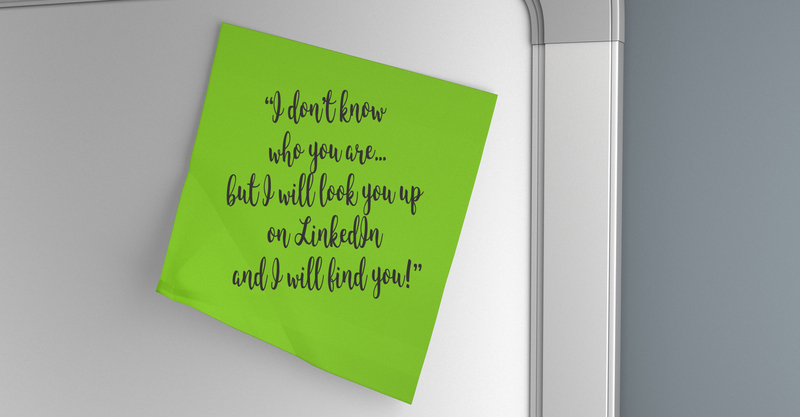 Do you have a LinkedIn profile and you contact people using it? Very good! To create a good first impression the key is in the details: High res cover photo? Checked! Nice smiling picture? Checked! Accurate description of your experience and education? Checked! Some interesting recommendations? Checked! Endorsements from your network? Checked! Body language is also very important. It’s a known fact that smile 🙂 is contagious. Put a smile on your face and then call your candidates. Your chance to receive a positive answer to an invitation to a more detailed discussion will grow exponentially. Show your smile when you meet the candidate for the first time. He/she will feel more relaxed and the discussion will flow naturally. Pay attention to all the fine little details from the very moment he/she walks in up to the “Have a great day” part; statistics say that 1 candidate will share with up to 5 friends the feedback on his/her experience with you and the company you are representing. Really?! It’s very good that you have an open mind and want to learn new things, but asking a candidate what his profession is doesn’t give you extra points. It’s the same frustrating feeling as when your little niece asks you the seventh time “What’s HR?”. Hmmm, not nice, right? But she’s cute, she has a plus while you … simply earn a spot on the candidate’s black list. Ask yourself “Do I like it when I receive CVs from carpenters for a Senior Render Programmer position?” I assume your answer’s NO. So, be smart and don’t send emails that are completely out-of-scope. A 10-year experience Java Developer will not appreciate a Web Dev job proposal, just as much as you will not appreciate a Payroll job opportunity. See, it’s simple common sense! The chances for a senior candidate to accept a career change because you offer him/her a job in another professional area are… ZERO! I love template messages, and if I receive the same message once every 2 months it’s just …perfect! NO!!! Never, and I mean NEVER, will a candidate appreciate a template message! Be creative and write something meaningful. Of course, there are parts that can be recycled in various other messages like those with job or company details. But take a few minutes and read the candidate’s profile. See the matching points and make them stand out in your message. Keep it short and simple and end it with an invitation to talk further if the candidate is interested; do consider no one takes the time to read an A4 message on how great your company or position is. We all have KPI’s. We all want to fill the open positions and receive “Thank you!! !” emails from the hiring managers, and possibly end up being awarded THE recruiter of the month or receiving a bonus. BUT, please pay high attention to the quality of your actions. It’s all about ethics, not only about doing your job. Calling a candidate twice a month is not “keeping in touch”; it’s just intrusive and NOT NICE! Imagine that you and 10 other recruiters call the same senior developer twice a month. Would this explain you being hated and having the number moved to the “Blocked contacts” list? Don’t be the one in Adele’s ‘Hello’ (Hello from the other side/ I must’ve called a thousand times”). We all know we need to insist, but keep it professional. Most certainly you yourself are or will be a candidate on some recruiter’s list. Dear recruiter, put yourself in your candidates’ shoes and consider whether you’d appreciate the things you plan on doing or saying to them. If your answer is NO, theirs will also be NO. Let’s be professional in what we do and our candidates will appreciate it.